Cannabis traditions of 2 continents collide. A hybrid skunk combining genes from California and Holland to produce a fruity, uplifting high. Mendocino Skunk, developed in collaboration with Chong’s Choice, is a well rounded combination of sativa and indica to produce a good yield plant that is easy to grow and delivers a delightful user experience. The Mendocino Skunk is inspired by a meeting of great cannabis traditions from California’s Emerald Triangle and Holland’s Amsterdam coffeeshop scene. Mendocino county sits on California’s north coast and its name has been associated with great weed since the 1960s. 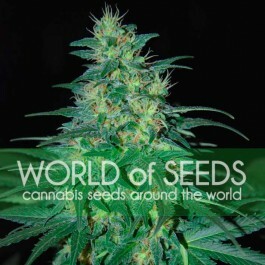 The perfect climate and a community knowledge base has made it a breeding ground for quality cannabis. 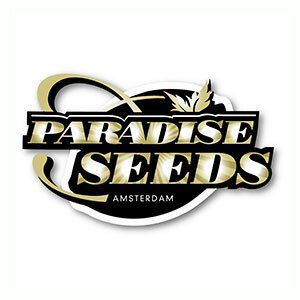 For this exciting hybrid project we chose to combine the essence of Mendocino with the best Dutch genetics from the Paradise Seeds vault and we are very pleased with the results. This plant is shorter and bushier than many varieties which makes it a good option for the beginner, although experienced growers will appreciate the ease of growth and pleasant all round qualities. A good addition to the indoor grow setup, Mendocino Skunk is a stable plant that will grow to a medium size so a good option if your grow room space is limited. With a thick central cola, the side branches of this plant will provide good bud growth and the calyx-to-leaf ratio makes for a speedy trim job once harvest comes. This plant will also thrive in outdoor grow spaces, providing a happy experience for growers in northern regions of Europe, Canada and America thanks to the Mendocino factor in the Skunk mix. In warmer, more Mediterranean climates, there is potential to boost optimum yield levels as this is a plant that will respond well in the sunshine. The fruity flavor and skunky tones will have your taste buds tingling for more and is an indication of the pleasurable hit that is coming your way. The effect, as you may expect from its hybrid nature, is well balanced and smooth. ‘Uplifting’ is a characteristic that has been used to describe Mendocino Skunk, with a positive high and a sense of well being that will brighten up the day. Mendocino Skunk also comes with properties that will appeal to medical patients thanks to its hybrid composition. The indica brings a relaxation effect while the sativa characteristic energizes the mind allowing the user to focus on everyday tasks.